Your shipping label must be securely attached to your bag to avoid shipping delays. The preferred method of attaching your label is to use a carrier luggage tag which is sometimes referred to as a "Fly Tag". However, you can also attach your label using shipping tape. What is a fly tag? 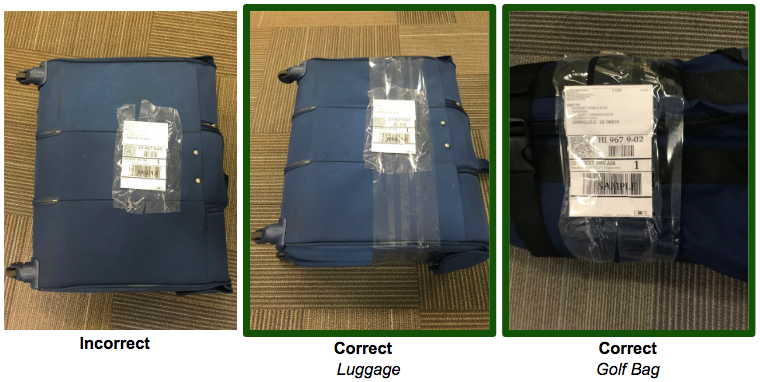 Pack as you normally would for airline travel but avoid prohibited items. 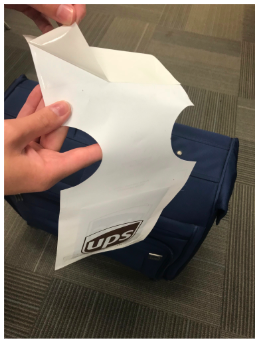 Insert the COPY label inside your luggage as a backup. If you have more than one bag ensure the tags correspond with the correct luggage or you could incur additional fees. Lock your luggage using a luggage lock or a zip tie. Attach the label securely to the outside of the luggage. See below for bag specific instructions. 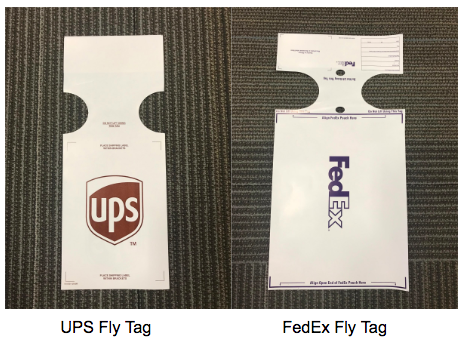 The most reliable way to secure your label to a canvas bag or luggage handle is with a "Fly Tag" that can be obtained at your local FedEx® and UPS® shipping center. If you are shipping a box, you can use clear packing tape or you can obtain a clear shipping pouch from your local FedEx® and UPS® shipping center. Why is the label weight incorrect?